As facilities move towards 24 hours a day 7 days a week use this presents both an opportunity and challenge. How do you keep carpet in service round the clock—both in common areas and in individual rooms and offices? How do you maintain and keep this heavily trafficked carpet looking beautiful day in and out? Facility Managers and Housekeepers are not only under pressure to deliver these benefits, but they also deserve solid, practical advice on how to accomplish this objective. The appearance or performance of carpet in common areas is often disappointing, particularly in lobbies, hallways and lower floor entrances to lifts. Turnaround time on individual rooms, classrooms, hospitality suites, ballrooms, and other spaces is critical. Often, the carpet is cleaned intermittently, after soil has built up and is visible. Preventing odours and sometimes mould growth in rooms is crucial. In terms of sheer performance, we are asking a lot of carpet. Proper cleaning and maintenance must be carried out to ensure high performance. It is important, in this context, to realise that changing the flooring system does not change the amount of dirt that is brought into the facility. Acknowledging this critical fact will help you provide maintenance planning and schedules that achieve real, satisfying carpet performance. So from a practical, day-to-day maintenance point of view, where does the Manager begin? What should they do to keep carpeted areas clean and in constant service? Cleaning the carpet once soiling can be seen just won't solve the problems above. Deal with the dirt as it accumulates; this requires a planned attack. By keeping parking areas, pavement and adjacent exterior areas clean, less dirt ends up inside. More than 90% of dirt on indoor carpets is tracked in on shoe soles. Carpets get dirty where people walk. Think defensively, consider banning chewing gum use, provide lidded beverage (maybe branded) containers and look at the type of spots/spills and other dirt that gets onto the carpet. How can these sources be eliminated – think creatively! Walk-off mats at all entrances should have pile, be at least 20 linear feet long and be able to trap both dry dirt and moisture. It is important to include these mats in the daily vacuuming activities, which will remove a great deal of the dirt being tracked in. Daily vacuuming is the single most important thing to do. Vacuum all high-traffic areas, for example, entrances and main hallways. It may even be necessary to vacuum some entrances twice a day. The more vacuuming you do, the less cleaning you will need to do. Note that suction only vacuums don’t clean carpet they litter pick the surface. Remember the majority of the dirt that comes into the building is dry dirt and is removed most effectively through vacuuming. Many carpet manufacturers recommend pile lifting as an important step in maintaining carpet. This opens the yarns, stands them up vertically, so that regular vacuuming is more effective. Again, simple tub vacuums, although great general pieces of equipment are not sufficient, a combined brushing/vacuuming machine is required. You don't have to clean all the carpet, just the areas of greatest use. While wall to wall cleaning is occasionally needed, concentrate your resources on the areas of greatest use. A dry extraction cleaning method can be excellent for this. This method of cleaning has the unique ability to clean carpet where it is needed. The area can be opened to traffic immediately since little moisture is used. Thus, no drying time will be required and no residual moisture will remain to create odours or prevent the carpet from being used. Transition areas—where carpet meets hard floor surfaces—are easy to maintain with this strategy. The carpet can be dry cleaned, returned to use immediately, and users can continue to walk safely from the clean carpet onto the hard surfaces. Make sure that your vacuums are in good operating condition. Check belts, beater bar, brush agitators, vacuum bags and filters. The brand is less important than the care and maintenance of the vacuum. Even the best vacuum performs poorly when not maintained. Spend more time and effort cleaning and vacuuming ground floor areas. The dirt comes from outside at ground level. 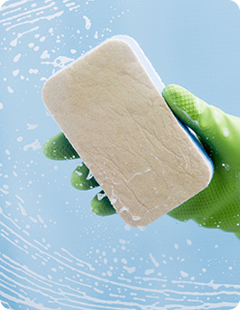 The more you clean there, the less is needed on the upper floors. Carpeting the lift goes a long way toward preventing the spread of dirt to upper floors. Be sure to vacuum lift floors every day and deep clean them at least weekly. Dry cleaning achieves this objective and allows quick turnaround of the lifts with less inconvenience to your guests, students or customers. An effective plan can guide both where and when the cleaning equipment should be used. The plan should "drive" the equipment, rather than the equipment "driving" the plan, a distinction that is critical for those managers committed to being in charge of their carpet. Establish a simple spot removal program that encourages and makes it easy to clean up and remove spots every day. An incredibly simple technique is to use the HOST Zapper System. Brush the cleaner through the spot and vacuum up the cleaner. There is no mixing of chemicals and no risk of damage through over wetting. Since the best time to clean a spot is immediately, we encourage the placing a bag of dry cleaner or Zapper system on each cleaning cart. This way, spots can be quickly addressed whilst, for example, the room or area is being serviced. Above all make carpet care a planned routine operation and the carpet will look good for much longer.